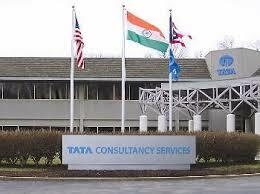 TCS has opened its first Drones Research Lab in the US, at its Seven Hills Park Innovation Centre located in Cincinnati, Ohio, to address the demand for unmanned aerial vehicles and business solutions across industries. The lab — featuring indoor labs, showcase, warehouse and outdoor terrain footprints — provides a rapid experimentation and co-innovation environment for customers to build solutions for specific industry problems in accelerated 30-60-90-day delivery cycles, the company said in a statement. FAA Part 107-certified TCS pilots based at the lab fly fully equipped drones to collect data for specific industry use-cases. Advanced computer vision, machine-learning and deep-learning algorithms enable fully automated processing of drone-captured images to reveal precise insights. The lab is an extension of the global TCS Research and Innovation ecosystem bringing the combined expertise of its labs, start-ups, academia and technology partners closer to customers. The fully operational lab demonstrates solutions for insurance, manufacturing, logistics and transportation industries, as well as specific environmental applications.